Thought of the day: should the 996 give thanks to the Boxster? If you mention the 911 out here in the USA, the world’s best sports car is not the first thing people think about, unsurprisingly. This doesn’t mean the USA is a Porsche-free zone, as our American readers will quickly confirm, yet you might be forgiven for having that impression if you had been with me for the past month. I have been travelling in Arizona and Utah, and until today I had not seen a Porsche for a month. Sitting on a restaurant veranda overlooking Main Street last night was like having a free ticket for a hot rod and custom car event – anybody who thinks monster-trucks are just for shows, think again. Mom might even use them for the school run here, all of which explains why I was missing the sight and sound of a 911. Until this morning, that is, when I heard the unmistakeable sound of a Porsche flat-six engine being driven up the valley towards me. Two minutes later, a Boxster Spyder with California plates rounded the corner, and I admit I was a little disappointed that it was not a 911. Why the disappointment? The Boxster Spyder is arguably the best-looking Boxster yet, but I couldn’t help feeling that it was the 911’s baby brother. Over the years, virtually every sports car maker has operated the twin-pronged marketing approach of the full-fat, hairy chested headline car, and then the smaller brother, usually aimed at a different market. Think of Triumph with the TR6 and the Spitfire, MG with the MGB and the Midget, and Austin Healey with the Three-Litre and the Sprite. Even Mercedes joined in with the SL and then the smaller SLK, so surely we shouldn’t be surprised that Porsche decided to follow the same route? Well actually, the Porsche baby brother story is rather different to the others, and has a raison d’être with a very direct connection to the 911 in your drive, or in your local showroom, which I hope justifies me writing about it in Total 911. When the Boxster first hit our roads in 1996, Porsche design director Michael Mauer admitted it was clearly the 911’s smaller brother. “Then, over the second generation and now the third, it has become more of a car with its own character and design features – more adult, more of a serious roadster,” he added. That description reflects the car I saw yesterday, but let’s wind the clock back to the early Nineties. Porsche’s sales and cash reserves were on a frightening downward trend that, unless checked, could only end in one way – bankruptcy, or the barely better fate of takeover by a competitor. Wendelin Wiedeking took over as Porsche chairman and CEO in 1992, and saw the writing on the wall. What was needed, he realised, was a new sub-911 volume seller that would bring in sales and profits sufficient to allow the 911 to be developed out of the engineering cul-de-sac it found itself in. Market research told them that this new car had to have a market price of below $40,000. While Wiedeking was confident his designers and engineers could produce a suitable car, he knew that Porsche as it was in 1992 couldn’t do it for less than $80,000. He took a brave decision, and first consulted, then recruited, a group of retired executives from Toyota, at that point the leader in automotive efficiency. If you think that must have hurt, consider their conclusions – virtually everything from initial planning to final assembly had to be revamped. Despite the hoped-for huge increase in sales, the workforce would have to be cut by a third, stocks of parts by over 80 per cent and the entire production process completely redesigned. It was decided that the Boxster and the new 911 – the 996 – would be developed simultaneously, with much shared design and many shared components. The Boxster became the first Porsche to be developed with a priority on efficient assembly, while maintaining the engineering integrity that Porsche had rightly become famous for. The outgoing 911 – the 993 – was technically superb, but highly inefficient to produce, in large part because its designers simply had not thought it necessary to build efficient assembly into its design. That changed totally with the design of the new 996, part of the reason why some traditional Porsche fans decried the 996 as “not a true 911.” Another reason was that due to the simultaneous development, there was potential for confusion between the two cars – the Boxster and 996 shared the same bonnet, front wings and headlights, so anybody seeing you coming would not know if you had spent $40,000 or $80,000! target, and Wiedeking had aimed to double total Porsche production figures from under 15,000 to 30,000 a year with the introduction of the Boxster. In fact, just four years after the Boxster’s debut, Porsche production had quadrupled to nearly 60,000 cars a year. There is no doubt that the Boxster saved Porsche. Without its shared development, the 996 might never have seen the light of day, and it certainly would not have been the commercial and engineering success it undoubtedly became. 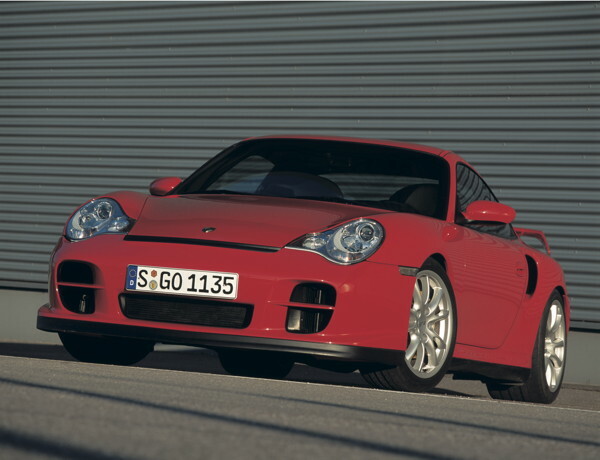 Without the revenue the Boxster brought in, there would have been no money to develop the 997, or later the 991. So the next time we see a Boxster on the road, we should try not to think of it as, in Clarkson’s words, ”a Porsche for people who can’t afford the real thing,” but instead see it as a superb car in its own right, and more significantly a car which has allowed many of us to continue driving the Porsche that we want to drive – the 911.